Are you looking for an affordable home with a good sized tropically landscaped yard? 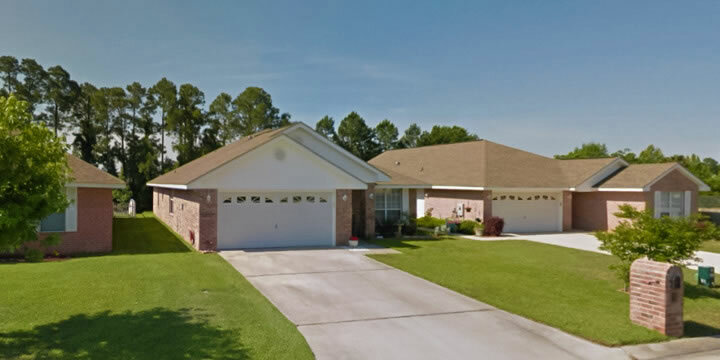 Look no further than these super nice homes built in the 1990's in Sterling Point, Gulf Breeze. Right in the heart of the city, the location of this community is one of the best. It's just off Hwy 98, and within walking distance of Starbucks, Shane's Rib Shack, Zaxby's, Ruby Tuesdays, Wells Fargo, Walmart, Walgreens, and more. Golfers will appreciate that it's only five miles from Tiger Point Country club and Driving Range, too. These are three and four bedroom homes with delightful palms and blooming trees in the green yards, sidewalks, and underground utilities. The homes were built with all the extras, including trey ceilings, crown molding, Florida rooms, and walk-in closets. The most amazing thing about the homes in Sterling Point is the price though. You can buy one of these pretty homes for as low as $150,000, and not much over $200,000. Perfect starter homes or easy-on-the-pocket retirement cottages, you get a lot for your money with a home in this community. There are even a few that have private pools in the backyard. Get yourself a golf cart and leave the car parked. Better yet, a bicycle will keep you healthy and you can grab a cup of coffee after you exercise. Call Emerald Coast Realty for a tour of the homes in the Sterling Point Gulf Breeze subdivision.